iDect Solo Plus is a combined digital cordless phone and answerphone that morphs classic and contemporary design and has a range of modern features demanded by today's user. 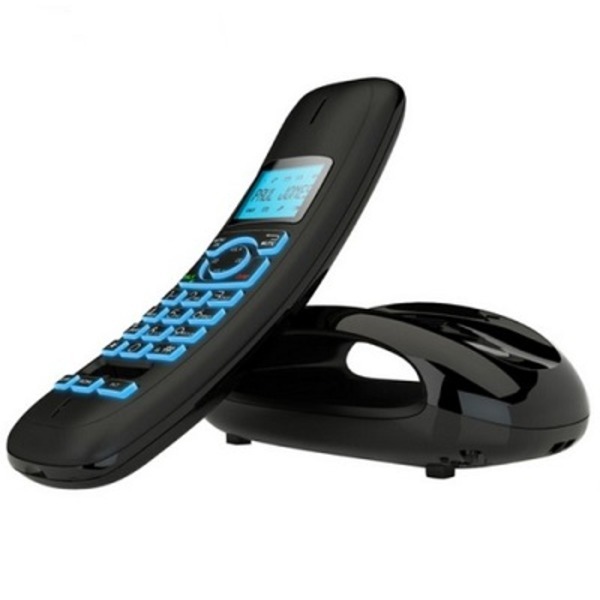 The Solo Plus has a retro-style tabletop cradle with one-piece received that is finished in a sleek black with contrasting blue backlighting for the keypad and LCD screen. Solo Plus from iDect has been designed to, not only look good, but be instinctive to use with an ergonomic layout and easy-to-use menu system. The clever design allows simple navigation of the internal phonebook (which has space for upto 100 names and numbers), integrated answer machine and other features. 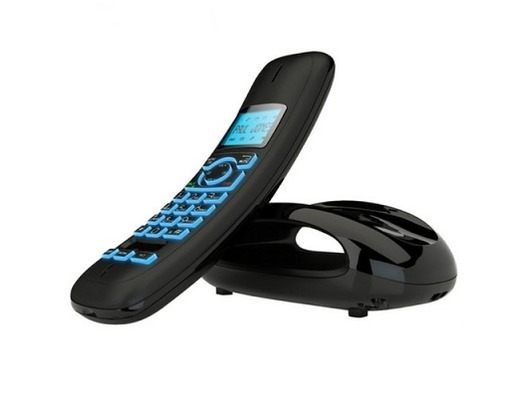 The handset has a built in speakerphone with volume control allowing for hands-free operation. There is also a choice of ten ringer melodies. If you are looking for an easy-to-use cordless phone with a classic feel and contemporary design then look no further than the iDect Solo Plus. Solo Plus has been tested and confirmed to work on all the major landline suppliers including BT, Sky, Talk Talk and Virgin. Buy iDect Solo Plus at an unbeatable price from Cordless Phone World. Prompt delivery and phone works well. I found the ordering very easy. The website is easy to navigate. The phone arrived at the date they said it would. It is value for money. And I wouldn't hesitate using them again if needed. Very good item and very good service! First time i have ordered any thing from this company ,and am happy with the product and the time it took for me to receive it , would definitely use them again in the future should i need any thing. Love the phone. You wouldn't know it was ex-display, looks new. Excellent service. Thank you. great little phone & excellent service. I love this phone it is so easy to use the answer phone delivery was so fast thank you very much. Very nice item & service. Email updates, speedy delivery and phone appears in great condition, arrived yesterday but looks great no sign of ex display. Had the phone a few days and at the moment im very pleased with how it is so easy to use and how smart it looks. I am sure that when my family come around they too will be keen on having the same or similar. Look forward to a good use of it thanks for making the transaction and delivery very simple and no stress. Phone was delivered a few days after ordering, it was ex display but looked untouched. Easy to set up and looks really good. The base was smaller than I expected but I hadn't checked dimensions. Happy with purchase, would recommend. The phone came very quickly and was so easy to set up, it aslo looks great I am very pleased. Lovely phone, easy to use. Excellent service. Would recommend this business. So far so good. I have yet to use all of the functions but it is a good phone. Quick delivery.Good packaging.Phone performs well and is good value for mone. Very fast delivery, was an ex-display but looked untouched! Highly recommend cordless phone world to anyone. Great phone too!! Very good service and fast delivery. Got this phone as ex display, look as brand new, well packed. Look much better than the photo. Base is small to fit my shelf and head set is big, clear and large enough buttons. Easy to use. Very happy with this purchase, would recommend. .